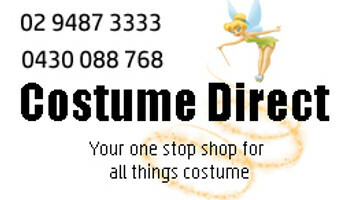 Military Uniform costumes from Costume Direct online ship fast to your door from Sydney, Australia! Straighten up, soldier and maintain courage under fire in one of Costume Direct's military uniforms - ensuring you are perfectly fit to enlist into active service for a huge range of costume party themes! Be first on the ground in combat situations in one of Costume Direct's military uniforms, or sail the seven seas as a Navy officer! Command your camouflaged troops and put your cadet training into practice in a marines general costume! For 1980s parties, dress as aviator pilots Maverick or Goose from Top Gun or any of the beloved characters from the television classic M*A*S*H! From G.I. soldier costumes to wartime officers, from dog tags to army helmets, and confederate soldiers to camouflage morphsuits, you will truly do your commanding officer proud! Stand heroic and tall in your khaki uniform for your next fancy dress party under the direction of CostumeDirect.com.au and our commandeering range of army, navy and airforce costumes! Sir, yes sir!